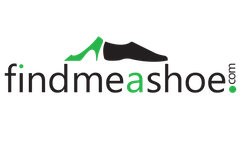 Find me a Shoe offers a virtual shoe-fitting room for e-commerce businesses. The company uses cutting-edge, proprietary, computer vision technology to provide the world's first personalized virtual trial shopping experience. Customers get to create their digital foot profile on the app and find the right footwear via virtual trial shopping. Find me a Shoe was founded in 2013 by an ex-Intel technologist from IIMA, Anand Ganesan, and a serial entrepreneur and expert in Computer Vision and a product design major from Domus, Italy, Senthil Nathan. The company graduated from the Target (USA) Accelerator Program in November 2015 and has already started working with brands and retailers in the US. Ventureast invested in the company in 2016.